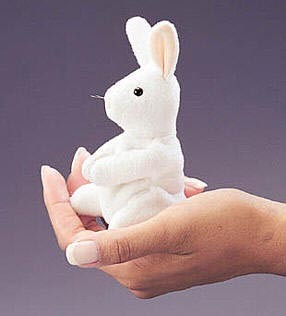 This little Rabbit finger puppet will put a spring in your step! Soft white paws with hook and loop fabric pads can hold a flower, a piece of candy, or the paws of another Mini Rabbit. 5" tall.